Whether you are just getting started in the world of survival gear or you are a long-time expert, you should do a quick review of your fire starter kit. Are you sure that you have all the gear that you need? 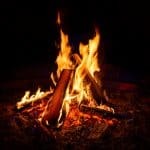 In this article, we’ll give you a run down of what every survival fire starter kit should include to make sure that you are ready for anything. You should always keep in mind the specific conditions that you are likely to encounter on your trip when you are putting together your fire starter kit. Will you be likely to encounter wet and windy weather conditions? Do you expect to be able to find fuel easily, or are you going to an area where wood might be a problem? 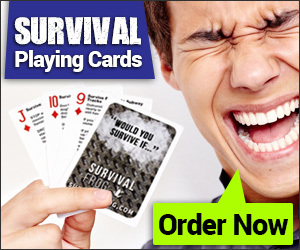 A smart survivalist always plans for the worst in whatever conditions they can expect. So, the fire starter kit that we are describing here might not have everything you need, depending on where you are going. However, these are the basics that you will need, no matter where you are. 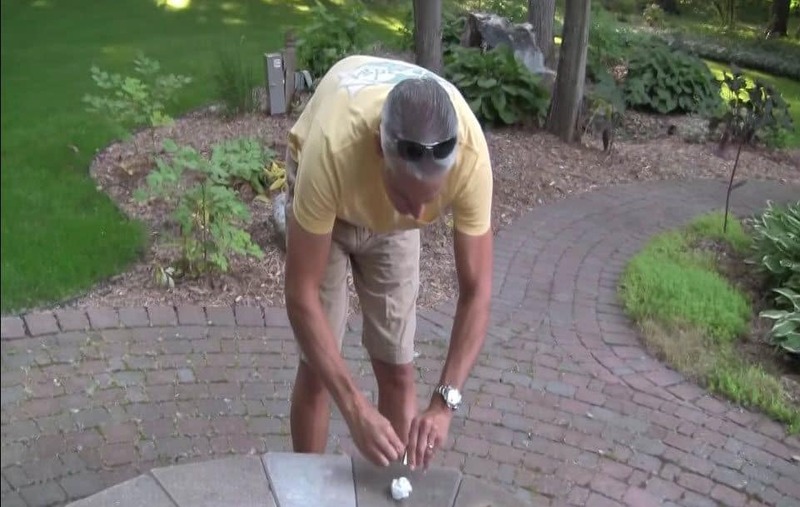 This is probably the most important thing that your fire starter kit can have. A good survival lighter should be designed to work in even the most sever conditions. 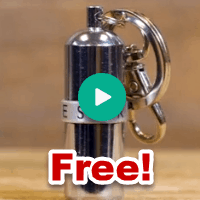 They should be waterproof, meaning they will still work perfectly even after being submerged completely in water… which is exactly what the FREE Life strike lighter can do. It should also be extremely durable. You don’t want to be without a source of flame just because you dropped your lighter onto some rocks. The EverStryke Match, for example, can survive being run over by a truck. A Ferro rod is basically a rod made out of a metal called ferrocerium. When you strike ferrocerium with steel, it creates extremely hot sparks. They can be up to 5,430 °F. At temperatures like these, you can start fires easily, as long as you have dry tinder. A Ferro rod is a great backup to have in case anything happens to your survival lighter. They are durable and can be used for years. As another backup to your survival lighter and Ferro rod, it’s a good idea to carry a small pack of waterproof matches. 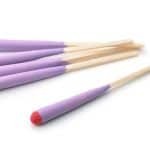 These matches will work even if they have been soaked in water, meaning you can start a fire even in the rain. Keep a sandwich bag of vaseline coated cotton balls in your fire starter kit. These make for great tinder, as they catch fire easily and continue to burn for a while. 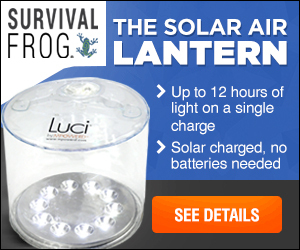 They can help you get a fire going even in poor conditions. Here’s a video I made for you that shows how a cotton ball fire starter with vaseline starts a fire with a single strike from the everstryke match and its built in ferro rod. A tea light candle is a great way to have consistent flame when you are trying to light wet wood or kindling. Just like the cotton balls, fire starter sticks burn for a while, giving your kindling enough time to catch, even if weather or wood conditions are wet. 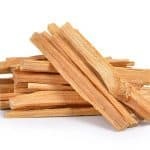 Firestarter sticks are lightweight and easy to store. They are a no-brainer for any fire starter kit. The ultimate survival tool for starting a fire is learning how to start a fire without matches. 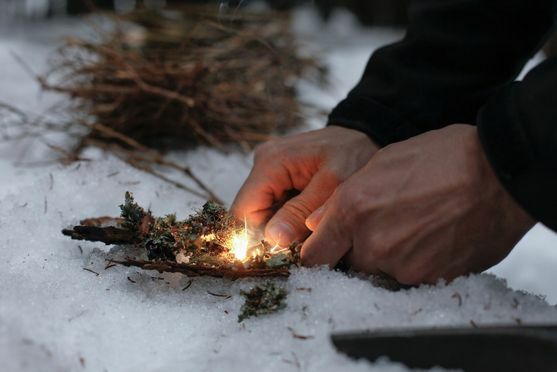 So, here are 8 proven ways to start a fire without matches. These are the must-haves that any fire starter kit should include. Of course, you could easily add more fire starting tools to bulk up your kit, especially to suit the conditions that you will be in.